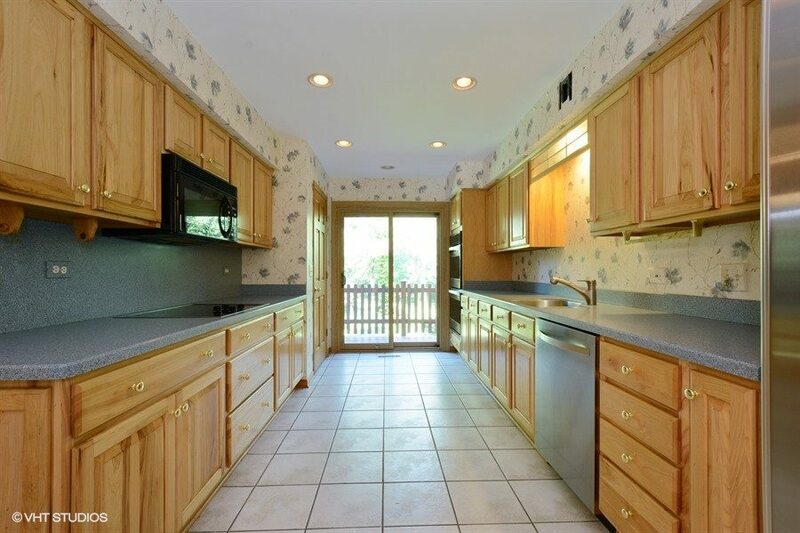 Must see 5 bedroom, 3 full bathrooms, 1 half bathroom, 4,000+ square feet ranch, on almost an acre in the Plum Grove Estates subdivision of Palatine. 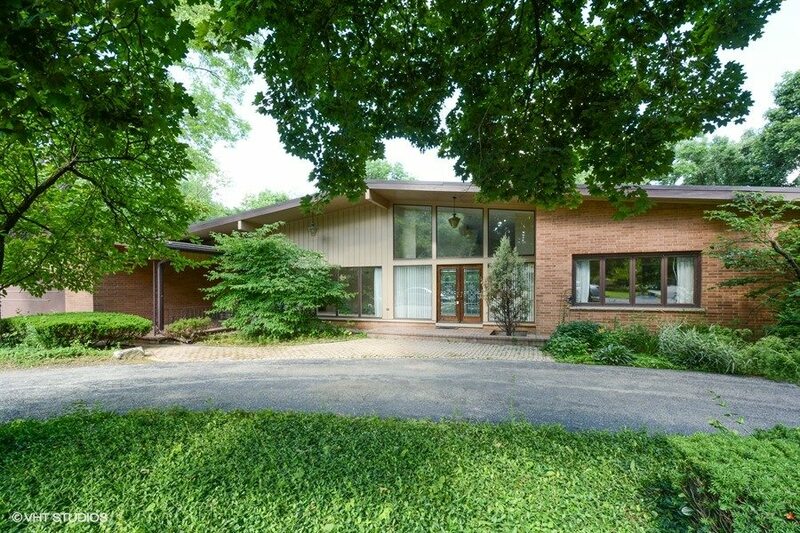 Amazing home offers 3 enormous living spaces all with walls of windows to the large private backyard with a deck that spans the back of the main level and a patio outside the walkout basement. The enormous living room is the center of the home with a vaulted ceiling, brand new carpet and a wall of windows and sliding door access to the back deck. 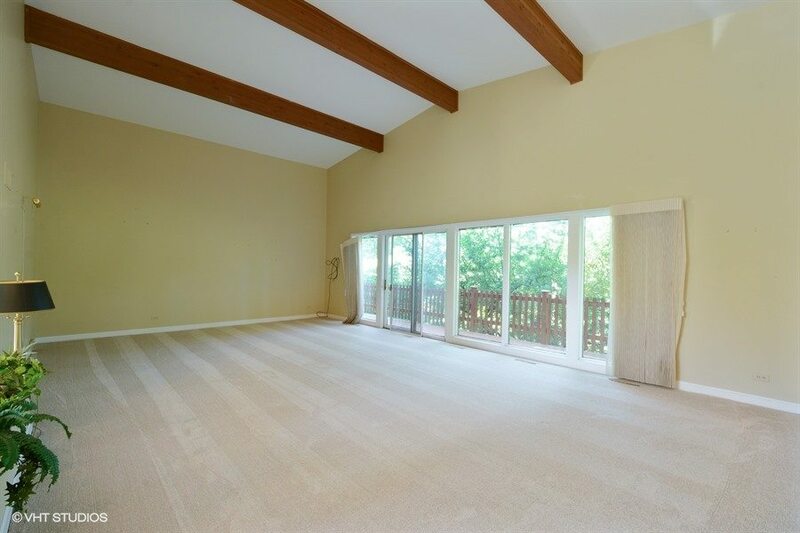 The huge family room also provides wonderful access to the back deck, features gleaming hardwood floors, built in cabinets, a gas fireplace with brick wall and vaulted ceiling. The fabulous walkout basement features a massive recreation room (32 x 40) with hardwood floors, a gas fireplace and yet another wall of windows with sliding door access to the back porch. 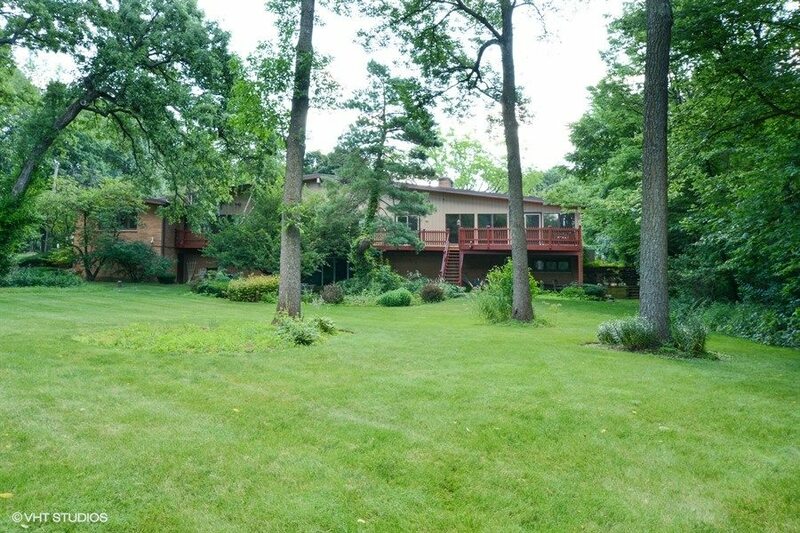 Four large bedrooms on the main level, including an impressive master suite and a private 5th bedroom in the lower level with it own bathroom and access. Palatine schools and Fremd High School. Dramatic 2 story entry into this beautiful home. 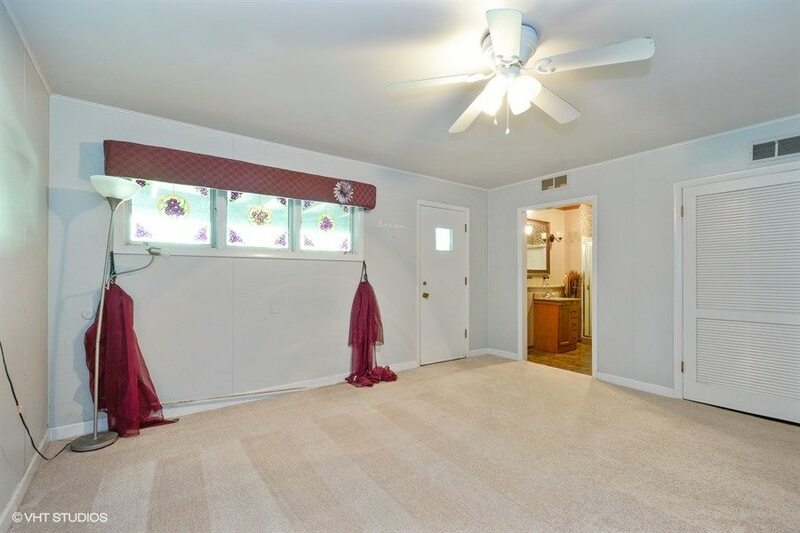 The Foyer features ceramic tile and a large coat closet. 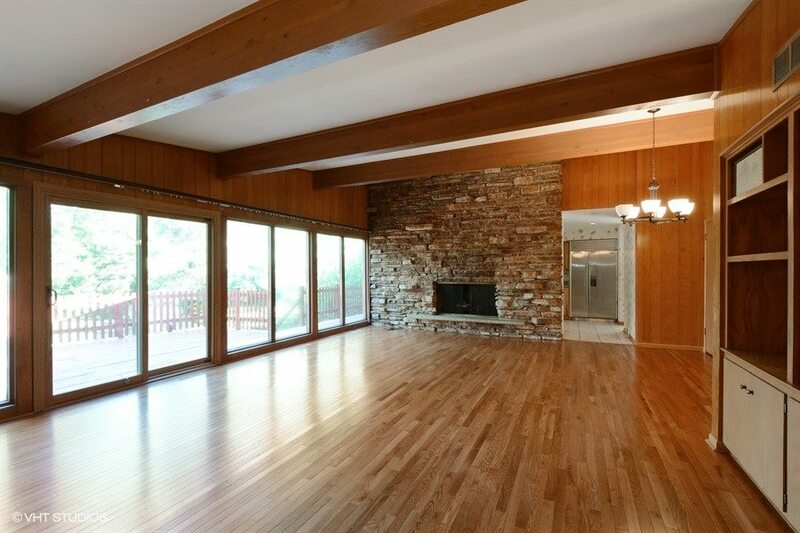 This enormous living room is the center of this fabulous home. 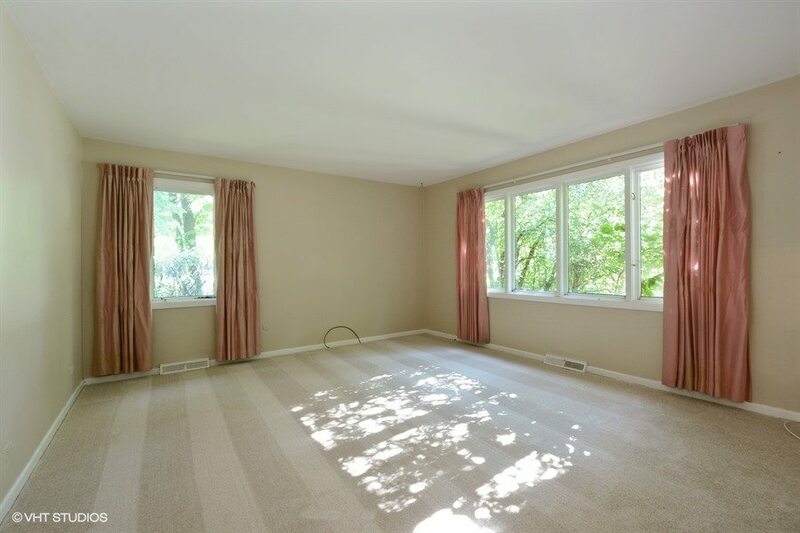 Featuring brand new carpet, a vaulted ceiling and a wall of windows with sliding glass door access to your sprawling deck overlooking the large, wooded backyard. Another massive living space, the family room boasts gleaming hardwood floors, a vaulted ceiling, a gas fireplace accented beautifully by brick and another wall of windows with access to the back deck. What a special place to entertain and celebrate with friends and family. 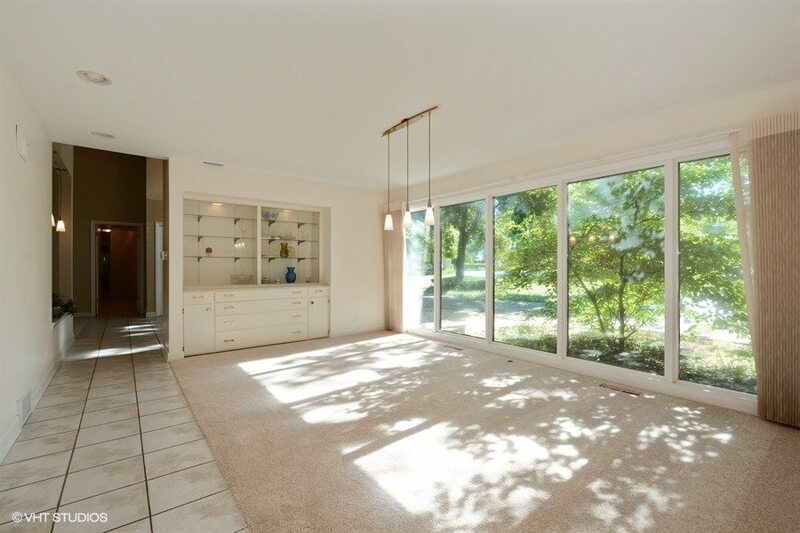 This large and bright dining room has brand new carpet, built in cabinets and provides great exposure to the front yard. This galley kitchen offers a custom Sub Zero refrigerator, stainless steel double oven and dishwasher. 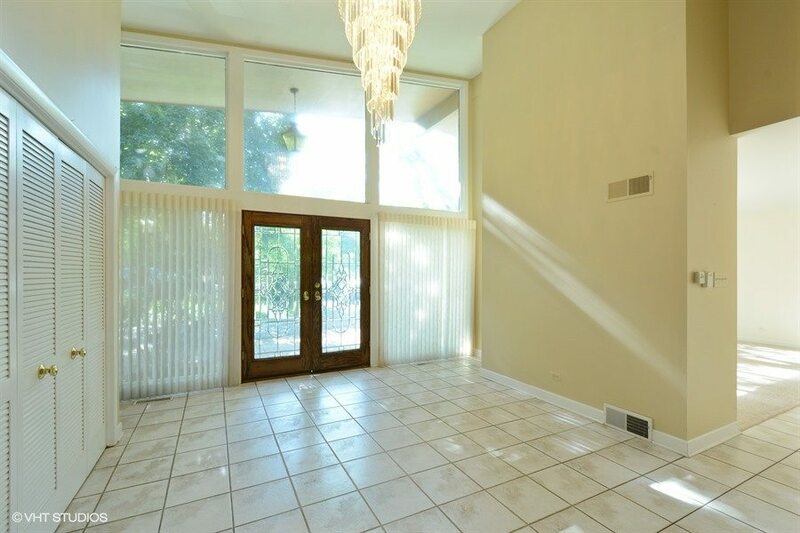 Large walk in pantry, ceramic tile floor, lots of cabinet space and a sliding glass door to the back deck. 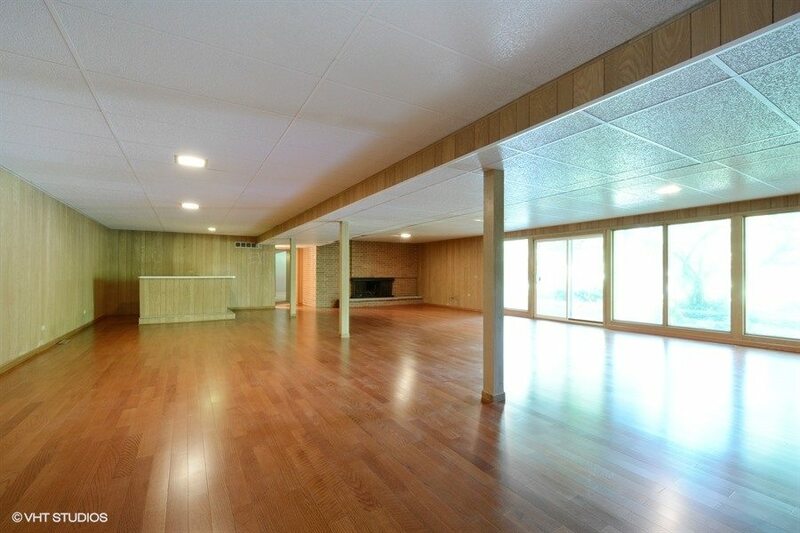 Entertaining guests and/or your kids has never been easier or more spacious! This recreation room on the lower level features hardwood floors, a gas fireplace with a brick wall, a wet bar and another wall of windows to the spectacular backyard. 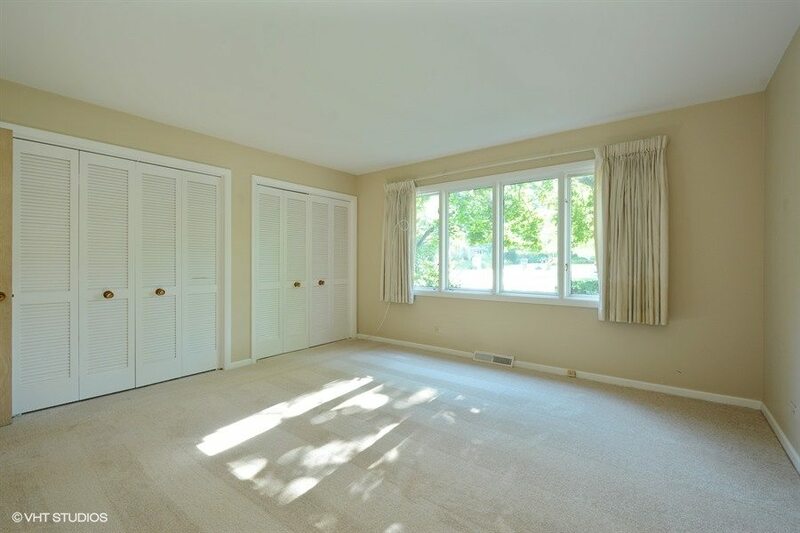 This master suite offers brand new carpet, 4 large closets and a wonderful view to the backyard. There is also a private access to the back deck from the master suite. 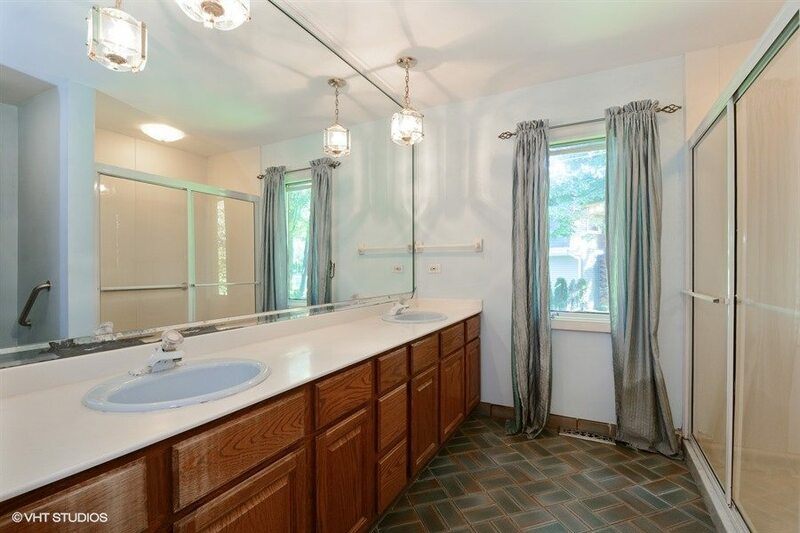 Features a double vanity, tile floor and a large shower. 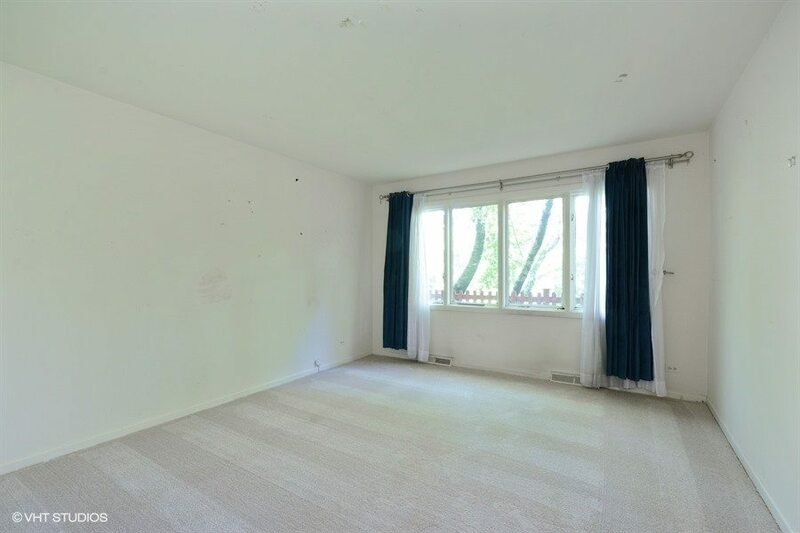 This large 2nd bedroom has brand new carpet and a large closet. 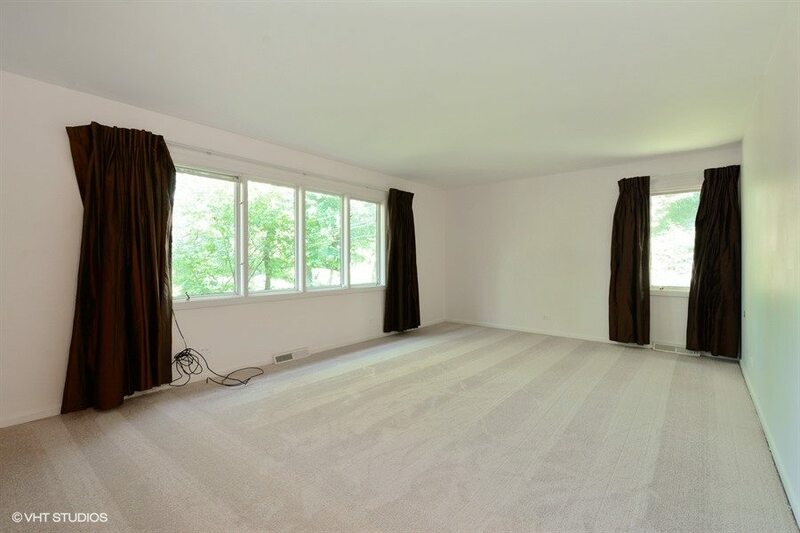 Another large bedroom, the 3rd bedroom offers new carpet and two large closets. The 4th bedroom also has new carpet and a large closet and offer a great view to the backyard. Located on the lower level, the 5th bedroom has its own bathroom, a large walk in closet and private access from the backyard and from the garage. The perfect set up for an in law suite or for older children. Just outside the walkout basement, the brick patio provides a wonderful environment to relax and enjoy the large, peaceful backyard. 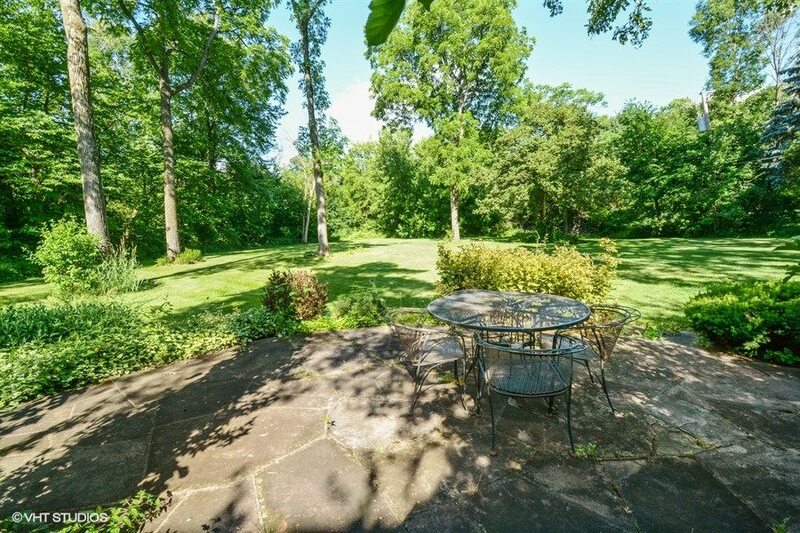 You can get a sense for the size of both the home and the yard from this perspective.